To read more about Tier levels and getting qualified for using the machines, see the Services page. A device which creates three dimensional objects one layer at a time using ABS and PLA filament. 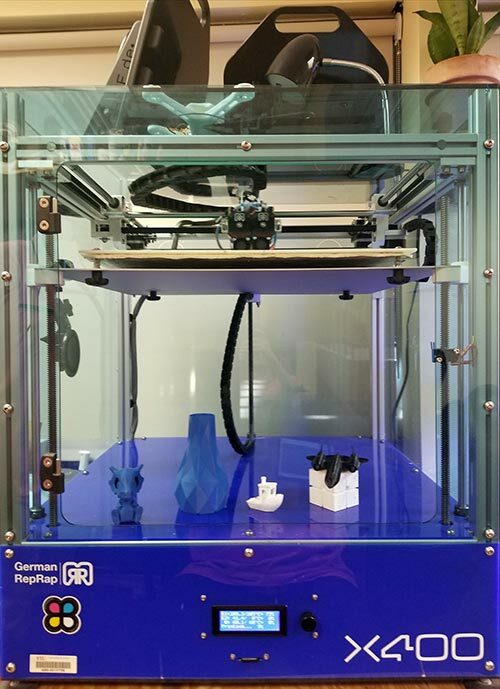 We have both a German RepRap X400 and an XYZ Davinci 3D Printer. A device which creates three dimensional objects using a laser to cure plastic to a bed. This occurs at one layer at a time until an entire 3D-object is made. This printer is much more accurate than the FDM printer because the laser can print thinner and finer layers then extrusion printing. A device that captures the shape of physical objects using a laser light. 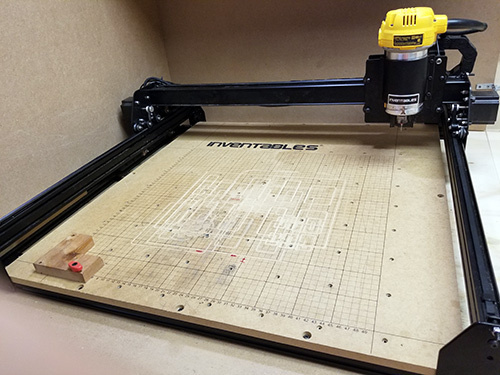 A 19” x 19” CNC routing table which cuts two dimensional designs out of materials such as foam, acrylic, wood, and soft metals. A device which cuts two dimensional designs into vinyl sheets. It is usually used to make stickers. A device that sews any design onto fabric. Soldering tools include soldering irons (including Weller digital soldering iron) and gas torches. 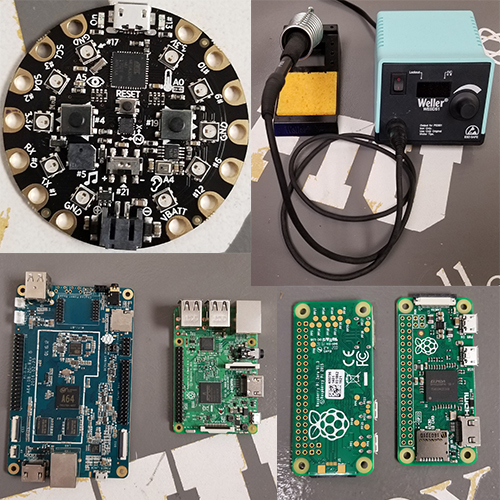 A variety of electronic tools include multimeters, micro-controllers and computers, such as Arduino and Raspberry Pi, and a Circuit Playground. 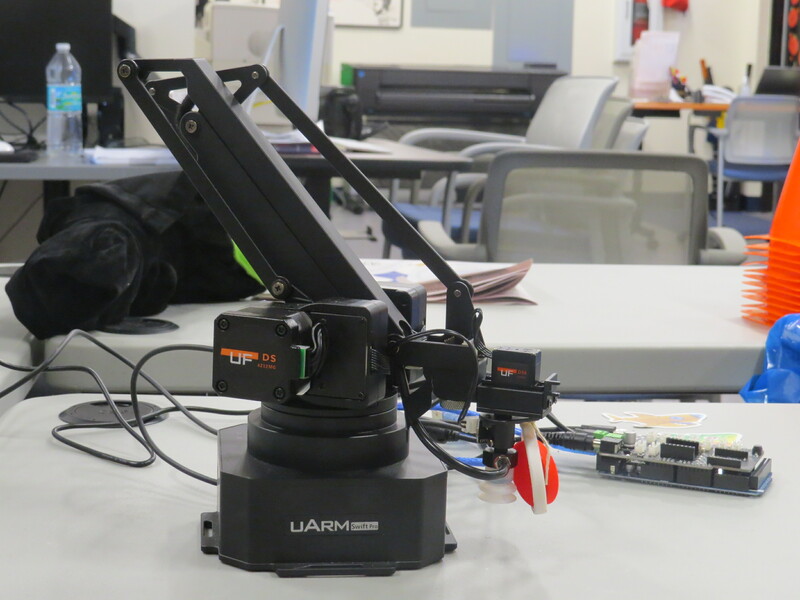 A robotic arm that can be modified to function as a laser engraver, 3D printer, vision camera, etc. 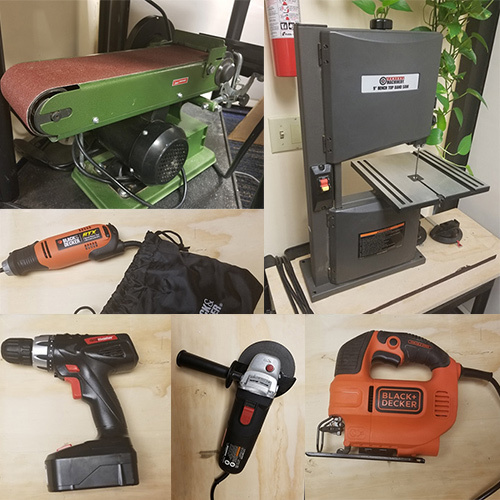 We have a variety of power tools such as a band saw, drill, soldering kit, and much more. We have kits that serve crafting functions, such as jewelry making and print screening. We have kits for bicycle, watch, jewelry, eyeglasses, computer, electronics, and clothes repair. 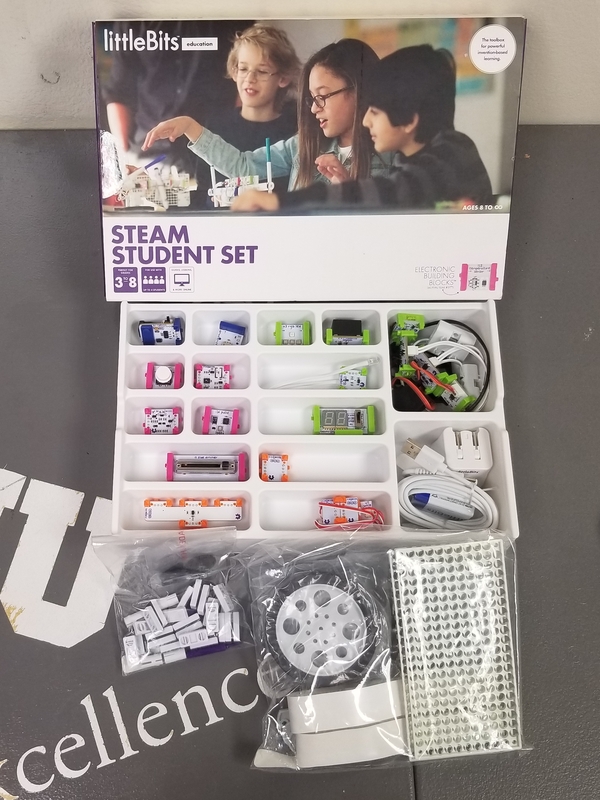 The lab also contains electronics learning kits from Little Bits and Snap Circuits. 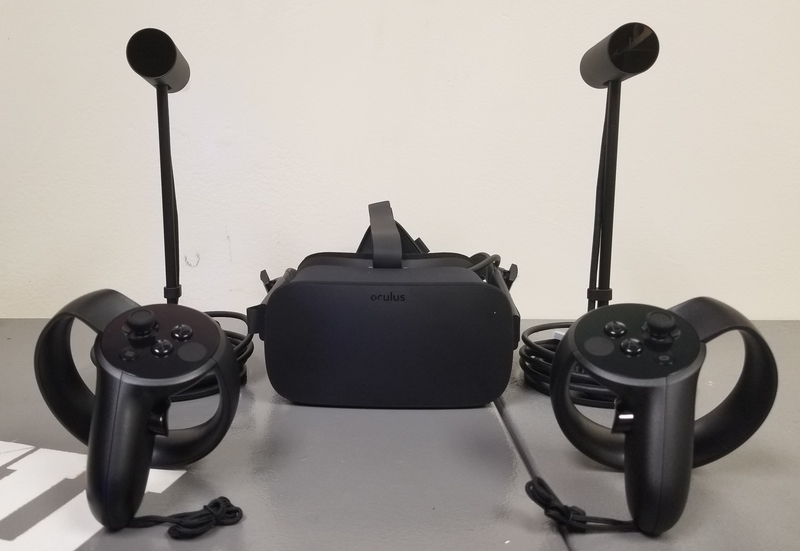 We have an Oculus Rift, it is a virtual reality headset that immerses the wearer in a three dimensional space. Some of its many applications include art, medicine, architecture, therapy, tourism, and gaming. The Oculus’s potential is only limited by the user’s imagination.